Who said the U.S. Navy wasn’t culturally sensitive? 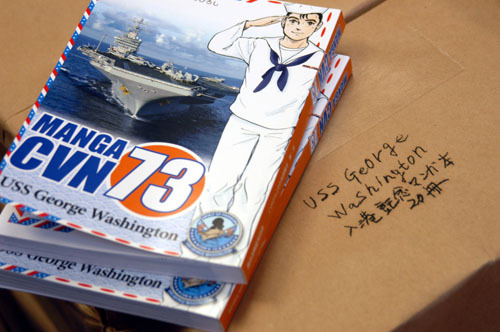 ANN has reported that the U.S. Navy has not only completed the story for their planned manga title, but has already printed around 30,000 copies. 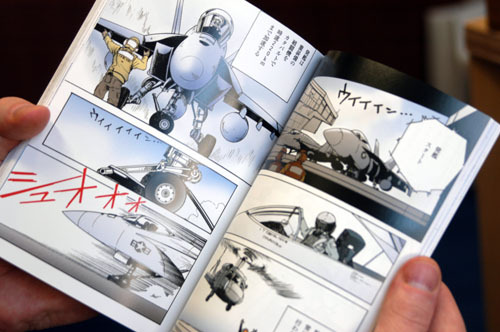 The manga is called CVN-73, and was created to promote the arrival of the aircraft carrier USS George Washington to the Navy base in Yokosuka, Japan. CVN-73 is the carrier’s call number, and is printed on the ship’s hull. The story revolves around a fictional character, Jack Ohara, who is nervous about his first overseas assignment to Japan. While the story is more about the USS George Washington, you see the event unfold from Ohara’s eyes. The manga is a stunning 200 page book, and is aimed at the 10-30 year old Japanese audience. Click here to read the manga.